SANDY CREEK — A trio from Mexico Elementary School reigned supreme at the recent annual countywide Battle of the Books competition for grades 3 and 4. At the recent countywide Battle of the Books, “The Think Tank,” pictured with their coach, from Mexico Elementary took first place in the grades 3&4 competition. Pictured from left is Mexico Elementary Librarian and team coach Dianne Barnes, Emma Belfield, Ian Bigelow and Jesse Marthia. 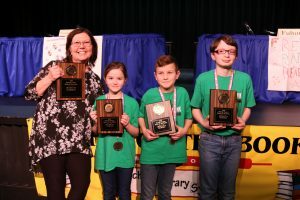 The countywide Battle of the Books clash was held in Sandy Creek on March 12 with four levels of competition by grade level. 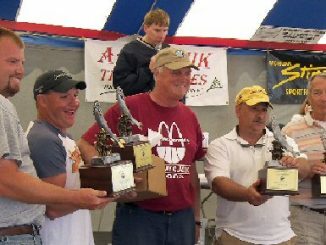 In addition to Mexico, teams from Fulton, Phoenix and Sandy Creek also walked away as winners.